You can educate them about the tropical nature on the island and for most children this might be the first time they’ve seen an elephant up close, how very exciting! Take them for a walk with an elephant and they’ll love you forever. Koh Phangan has become a permanent home for many new families in recent years, some even choosing it over Samui. The island has many schooling options including Si Ri Panya Tutorial School which has been going from strength to strength since it opened. You can read more about bring up your kids in paradise in our articles in this kids section if you want some help with your education options. 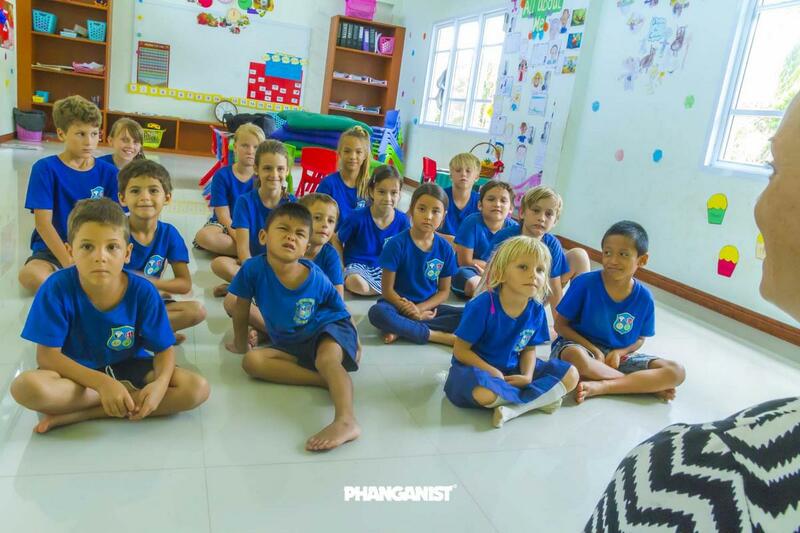 Koh Phangan is a wonderful place for your children to become open minded at a young age, they will meet other children from all over the world and be able to learn about different cultures not only just Thailand. Wouldn’t you want to come to Koh Phangan as a kid? Yes you would! The Kids of Koh Phangan Celebrate Teacher Jessica's Birthday!